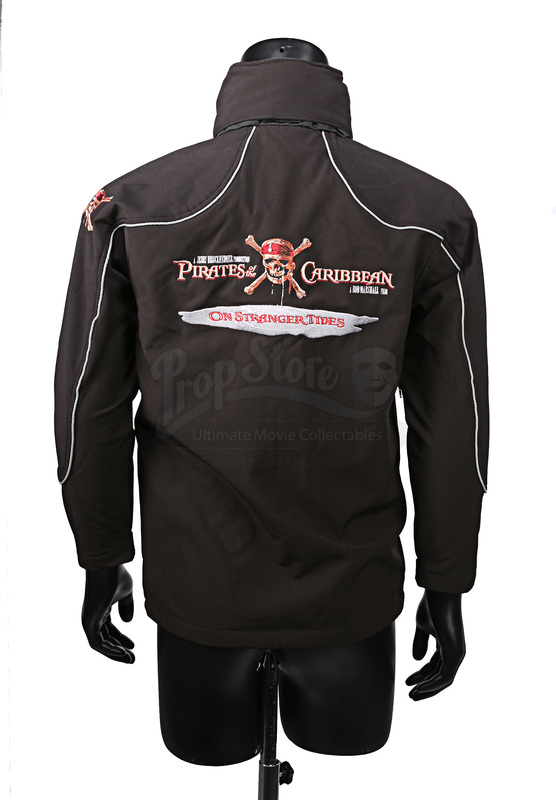 A waterproof crew jacket from the set of the fourth Jerry Bruckheimer instalment, Pirates of the Caribbean: On Stranger Tides. These weatherproof garments were given to members of the stunt team while working on set. 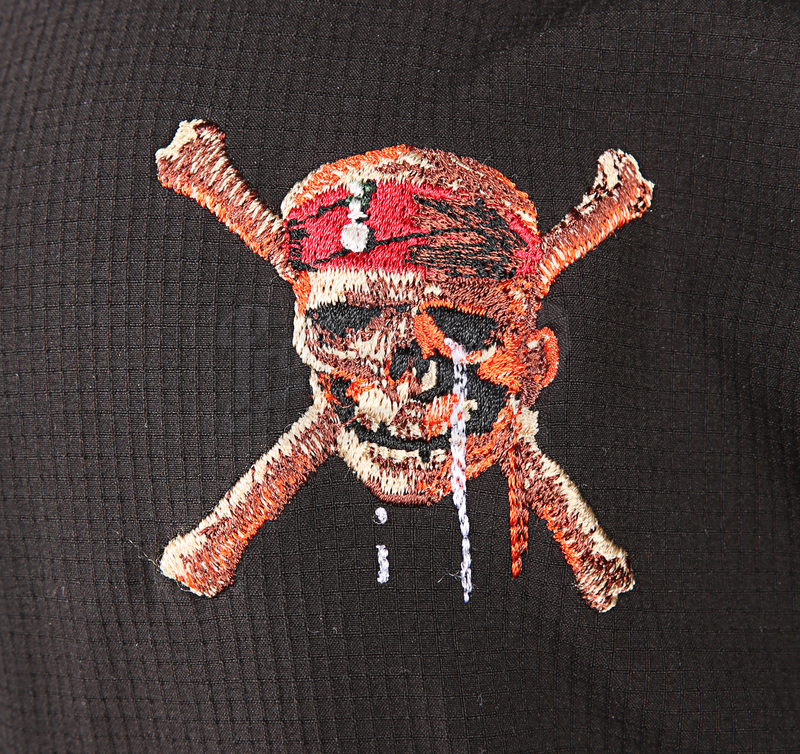 The “Result” branded black jacket features the iconic Pirates logo and title on the back embroidered in full colour, the “Stunts Worldwide” emblem on the right sleeve and the left breast, and the Pirates skull and crossbones emblem on the left sleeve. 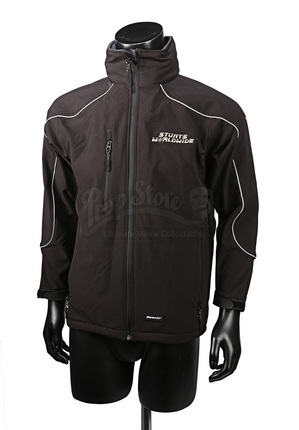 It has numerous zippered pockets inside and out with a grey fleece lining and a foldaway hood. In a new and unworn condition, it is sized ‘XS’. 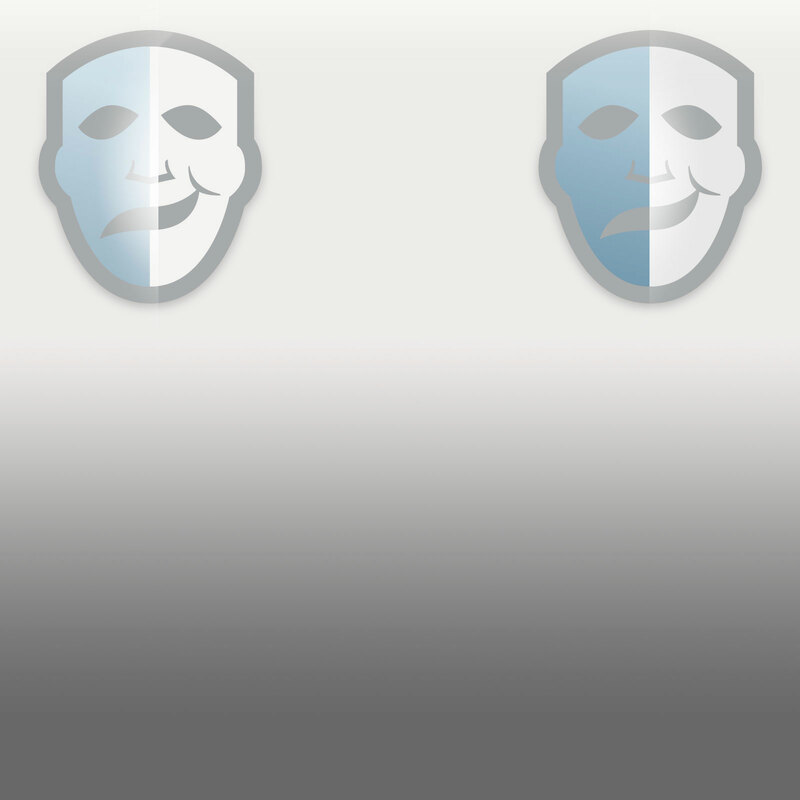 To find out more about Greg Powell and Stunts Worldwide, please visit Greg’s IMDb page.